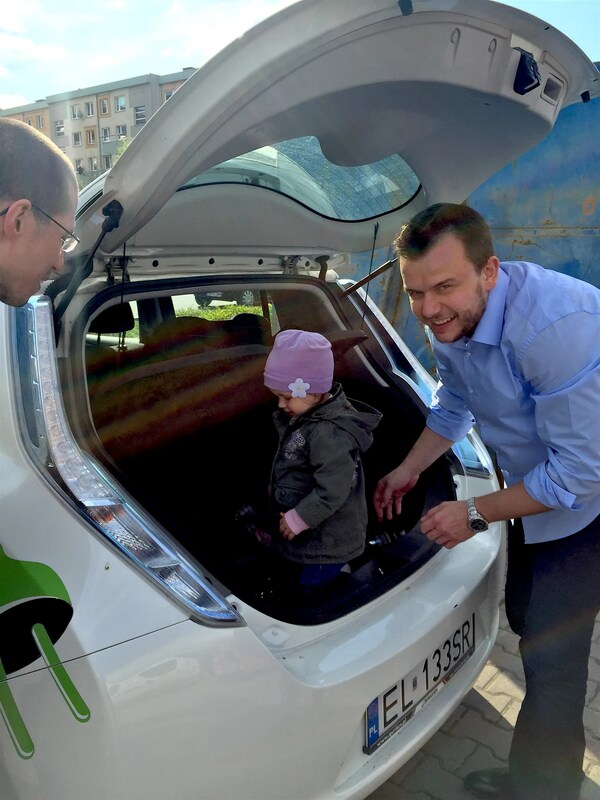 This article jumps into 3 things: 1) my experience using (& loving) carsharing 10–12 years ago, 2) a new study out of London on the benefits of carsharing (or “car clubs” as they call them there), 3) a short pitch to help me and another dude here in Poland launch electric carsharing in Wroclaw (… and/or other Polish cities). Let’s get going…. When I moved from Florida to North Carolina after college, I decided to ditch owning a car forever (okay, it may not be forever, but it has been ~12 years). Chapel Hill/Carrboro was quite a good place to live to get around on bike, bus, and foot, but I did find that having a car once in a while would be useful. Luckily, I found Zipcar there, when Zipcar was still a bit of a small and loosely known startup, and carsharing wasn’t nearly as big a deal as it has become. I found Zipcar to be super useful and convenient. I used it probably every two or three months, but also used it several times some months. It was the perfect thing for those occasions where a bus or bike wasn’t really adequate — trips to pick someone up from the airport, to buy something large at a Big Box store, etc (actually, I don’t remember what else I used it for — those were the two main things). Having the option to get it for just an hour or a few hours is what made it more useful than a rental car. I also ended up doing my graduate studies in a building right next to one of the Zipcar parking spots, which proved to be quite handy — and probably not a coincidence, since I was studying city & regional planning (see screenshot above). This is just one story, but I am sure many, many more people have similar stories that testify to the awesomeness of carsharing, and how it helped them to ditch their own cars. An email recently sent to me from the BMW DriveNow people in the UK highlights more of the macro effects of carsharing, focusing on a recent study in London. “It was revealed that for every car club car, 10 privately owned cars are taken off the road. 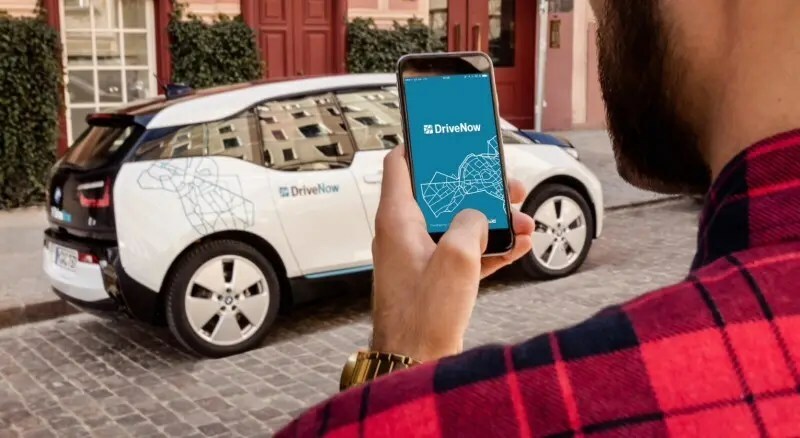 This equates to 25,000 fewer cars on London’s roads as a result of car club members selling their private vehicles,” the DriveNow rep emailed me. London has 2,800 cars in car clubs (carsharing programs), and 186,000 car club members using those. I wonder what the numbers will be in 5 years…. The press release the rep sent along also noted that the average car club vehicle is cleaner than the average car on UK roads, emitting a significant 30% less CO2. Much of that benefit is thanks to a large number of electric cars in carsharing fleets, such as the record # of electric cars (50 BMW i3s) in DriveNow’s fleet (the highest number of electric cars in a UK car club fleet). I also think carsharing is one of the best ways to increase EV adoption, and one of the best uses of EVs. It’s one of my favorite ideas from this wonderful list. Long wanting electric carsharing in Wrocław, I’ve decided to actually do something about it. Meeting Tomasz Gać and learning about his entrepreneurial tendencies (having both a courier company that uses a Nissan LEAF and a solar startup), I felt like I met the perfect person to partner with. We’ve been scoping out the competition, crunching the numbers, and making plans, but we’re open to bring in more partners and investors at this point in the story. If this interests you, drop us a note in the comments below, or you can get in touch via our contact page (just be specific I sent you there — the form goes through an administrative filter).